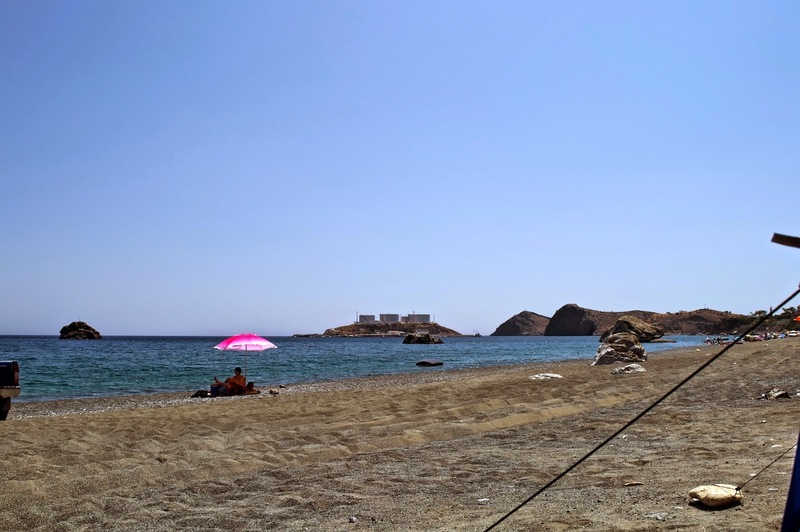 Recently i visited south of Crete to take a taste of the beautiful beaches. The waters on the area were the clearest i have seen in Crete. 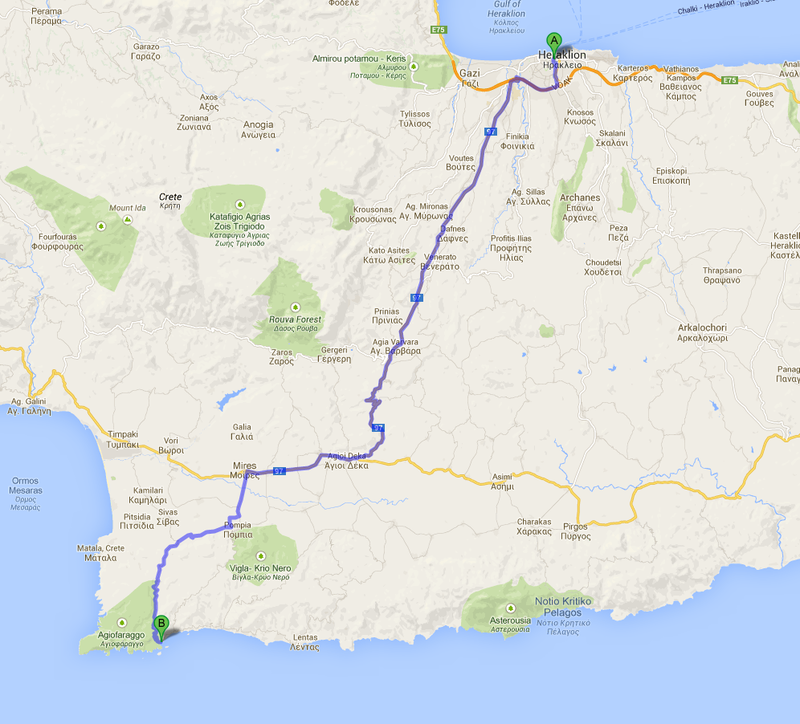 The trip going from Heraklion to kaloi limenes takes around 1 hour and half. It i will be better to start early and take as much water you can. The sun is really strong on the summer and then temperature is probably higher than anything you have felt. Here is the route we used. Unfortunately the route is not easy especially in the last part. Here is the top view of the beach. 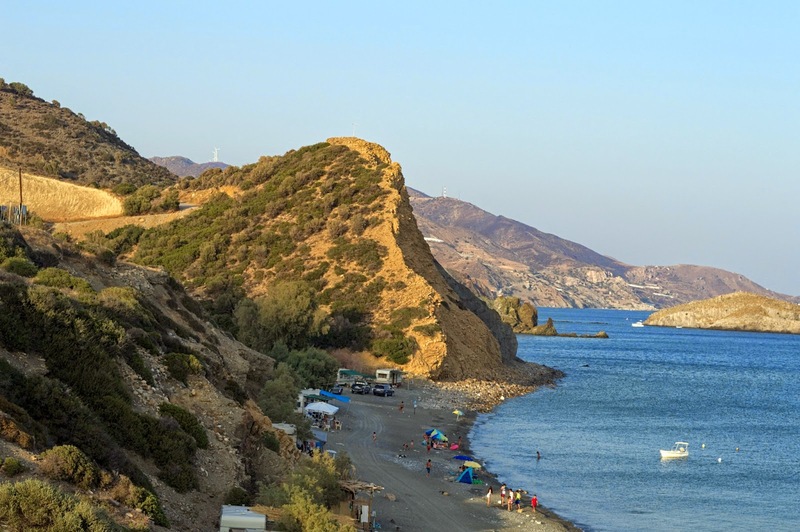 Note the oil storage and terminal facility, located on the small island of Aghios Pavlos ("Saint Paul") at the port's entrance. Despite the industrial appearance the beach i exceptionally clean. View of the beach. Note the oil storage. View of the Beach. Few people only and mostly locals. View from the road. The area is perfect for organized and non-organized camping. Sunset on the way back to Heraklion. Another 1,5 hours driving back!